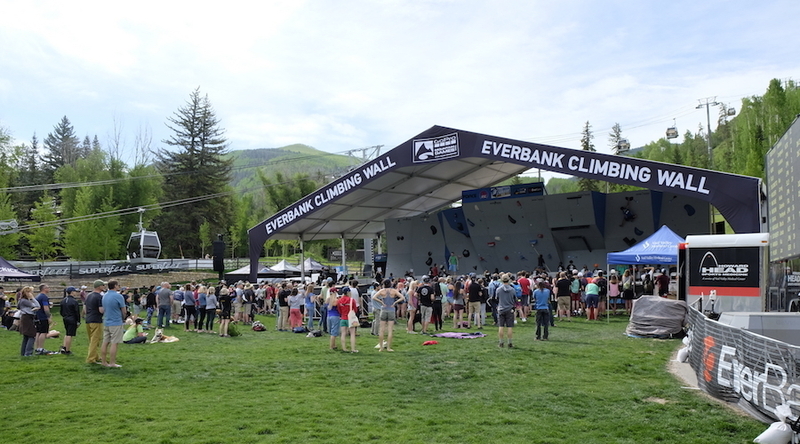 World class outdoor athletes participated in competitions including climbing, whitewater, mountain/road biking, slacklining, stand up paddleboarding, dog competitions, fly fishing and many more. 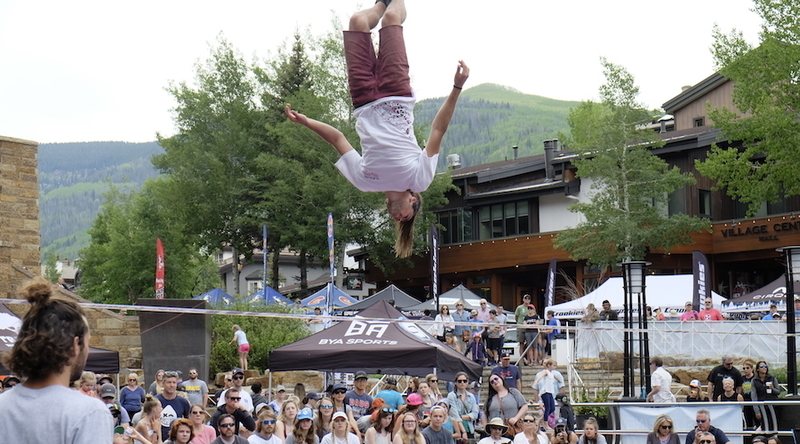 The GoPro Mountain Games took place this weekend in Vail, CO showcasing the great strides the outdoor industry has made in the world of competition. 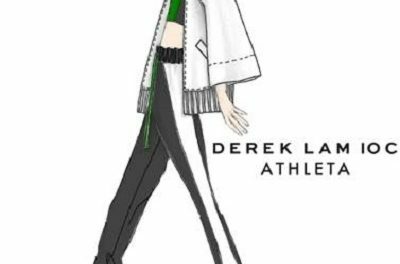 We were on the scene for the games as top outdoor athletes gathered to celebrate competition and the outdoor community. Vendors lined the the streets throughout the entire village at Vail Resort showcasing new products, providing samples and providing advice on gear – truly portraying how far the outdoor industry market has come. Below we have highlighted some of the competitions SGB was present for. Official results for the GoPro Mountain Games are expected to be released later today. 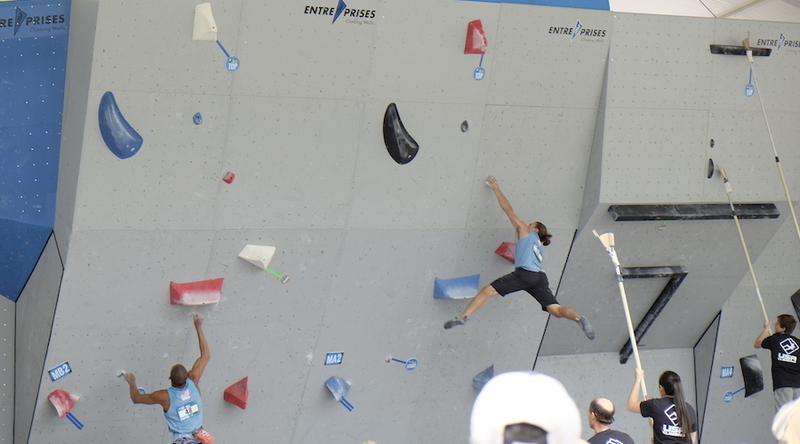 As climbing gets ready to enter its way into the 2020 Summer Olympics in Tokyo, the GoPro Mountain Games provided a preview of what a climbing competition will look like in the Olympics to those that have not witnessed one before. An intimidating bouldering wall with few holds challenged some of the world’s best climbers to get to the top. Whitewater enthusiasts had their chance to swim or shine in the Coors Light Kayak Freestyle in the Vail Whitewater Park and the Steep Creek Championship whitewater race. Top paddling athletes showcased their best tricks in the surf wave and competed in time trials through unforgiving whitewater. Rafters also got their chance at competition in the Tudor Down River R2 Raft Sprint – a race where two paddlers sat side-by-side in a raft to race against others – and the Raft Cross competition where boats competed head-to-head in a race. 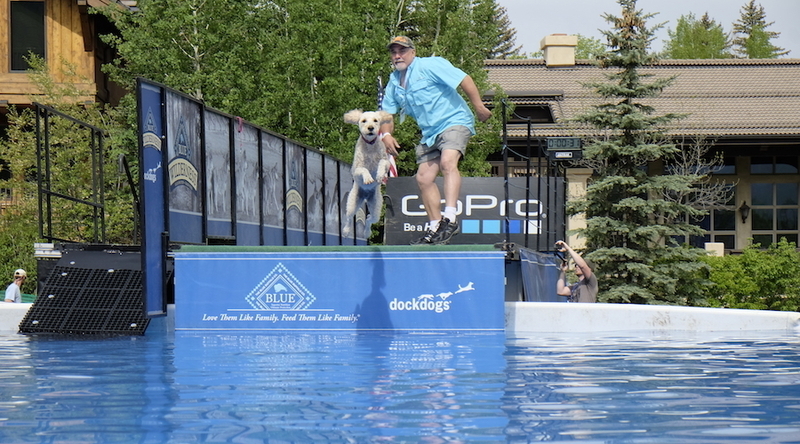 Our four-legged friends got their chance at glory during the GoPro Mountain Games as well as through the Blue Buffalo DockDog competition where dogs competed in big air, extreme vertical, speed retrieve and a dueling dogs head-to-head jump and swim race. Some were hesitant to launch off the dock while others could barely hold their excitement as they waited for their owners command to leap into the pool after their toy of choice. Enduro bike racers took to a sun-baked course for three-timed sections of difficult downhill racing in nearby Eagle, CO for the second annual GoPro Mountain Enduro. The race saw a field of more than 200 riders who battled the heat for a chance at the podium. Road racers capped off the GoPro Mountain Games on Sunday for the Volvo Road Bike Time Trial, which saw world-class peddlers racing up Vail Pass. Extreme balance and skill was presented in the head-to-head battle of the U.S. Pro Series slackline competition where athletes competed for best trick in several rounds throughout the weekend. Those who prefer to race on foot competed in the Superfeet 10K Spring Runoff and the Kyocera Mountain Mud Run. The growing popularity of SUPing was demonstrated at the GoPro Mountain games through competitions such as the Yeti Down River SUP Sprint and SUP Surf Cross, where stand-up athletes raced the river in the sport that is taking the outdoor and fitness worlds by storm. The Costa 2 Fly X-Stream fly fishing competition saw rivers at peak flows creating a fierce battle for trout this year.